Invasive species damage ecosystems, economies, agriculture, and human health. You can apply these simple recommendations to help stop the dispersal of invasive species. Many invasive species have been traced back to releases of pets into the wild. Only adopt a pet if you are confident you can take care of it for the entirety of its life. If you can no longer care for your pet, find a trusted friend or family member who is willing to take over the responsibility. Spaying or neutering your pet is another way to prevent unintended pregnancies leading to the rise of feral animals in your area. It can be tempting to landscape your yard with exotic plants that create a look and feel of a faraway destination. But planting invasive plants comes at the cost of the native ecosystem’s health. Support your local nurseries and create a beautiful natural environment with plants that are native to your area. A simple walk through your local park or a hike in a nearby forest could be the start of invasive species spread. Your running shoes could pick up seeds that are harmless in your hometown, but destructive if you take them with you on vacation. Next time you have plans to hop on a plane or a boat, take two minutes to brush organic material from your clothes, socks, shoes, and gear. Trees are used for firewood. This of course is no surprise—but what may shock you is that by moving firewood long distances you may be spreading invasive species. Oftentimes, dead or dying trees that are cut to make firewood may be dying because of pests such as the Emerald Ash Borer or Asian Longhorned Beetle. Support local firewood providers and do not move firewood into new areas. You can’t catch fish without bait (or some extreme skill) and this bait may include invasive species, such as worms or fish. Take care of your local waterways by using native bait anytime you go fishing, and whatever you do, do not dump non-native bait into the water—it could forever alter the native ecosystem. If you decide to take your boat to a new ecosystem, give it a thorough cleaning to remove any lurking species, such as Zebra Mussels, which are known to catch rides into new ecosystems. There are many different ways to support invasive species removal projects. Volunteer at your local park, refuge, or wildlife area. Help educate others; many people do not realize the threats invasive species pose to native plants and wildlife. Even the removal of weeds and non-native plants in your own yard or neighborhood can help prevent the spread of invasives. The spread of invasive species has become a primary driver of extinction. Due to the magnitude of this problem, many organizations are working to save native plants and animals from extinction by removing their primary threat – invasive species. 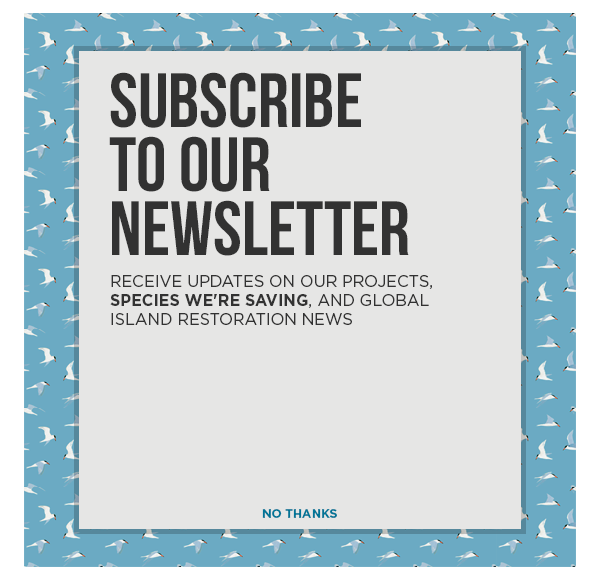 Island Conservation is an international non-profit dedicated to preventing extinctions by removing invasive species from islands. Removing invasive species from islands is one of the most effective conservation interventions available today to protect threatened plant and animals. You can learn more about recent success stories here and join the effort to prevent extinctions with the click of a button. Invasive Species 101: What is an Invasive Species? What Makes Invasive Species so Damaging on Islands?